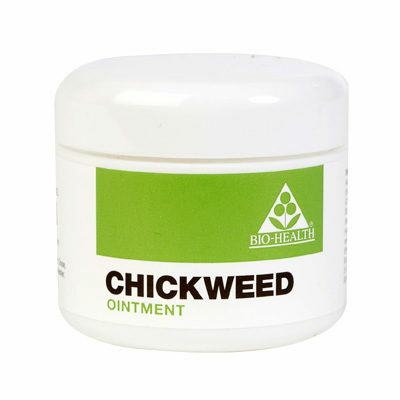 Chickweed Ointment from Bio-Health. No animal testing. Emollient for dry, itchy skin. Helps to break the itch/scratch cycle. Light, creamy ointment used particularly for dry, itchy skin. This is a lovely gentle cream, first recommended to me for a baby’s eczema, which it definitely helped with. I use it to gently sooth delicate skin. Recommended by my alternative health practitioner for itchy rash on my lower legs. Gentle and non greasy it soothes and heals – I wouldn’t be without it and use it every day.